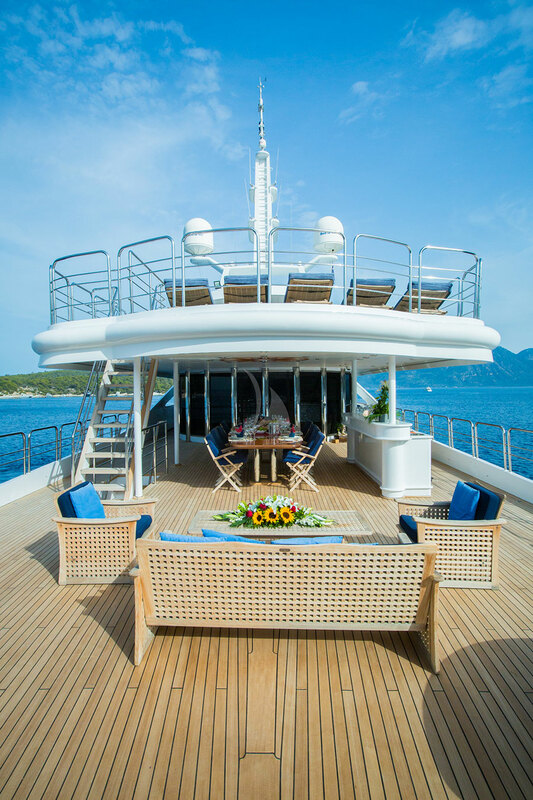 M/y Insignia stands out for her elegant interior and ample exterior spaces making her the ideal yacht for entertaining and social events. 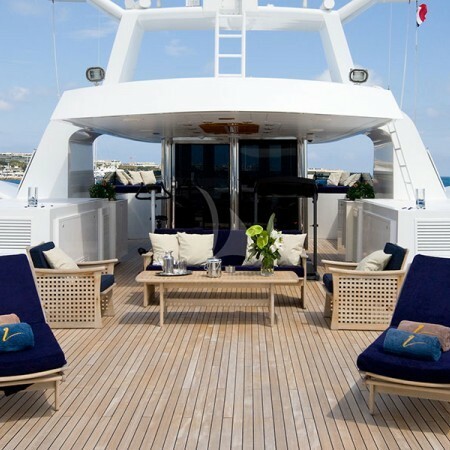 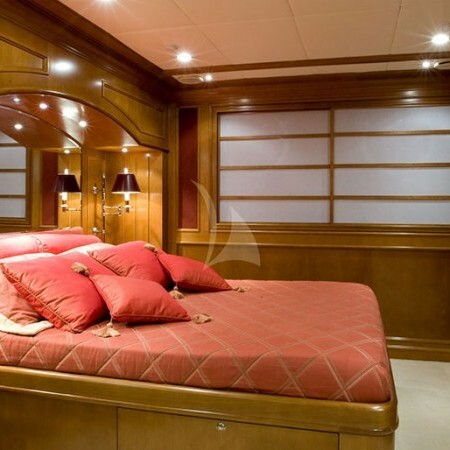 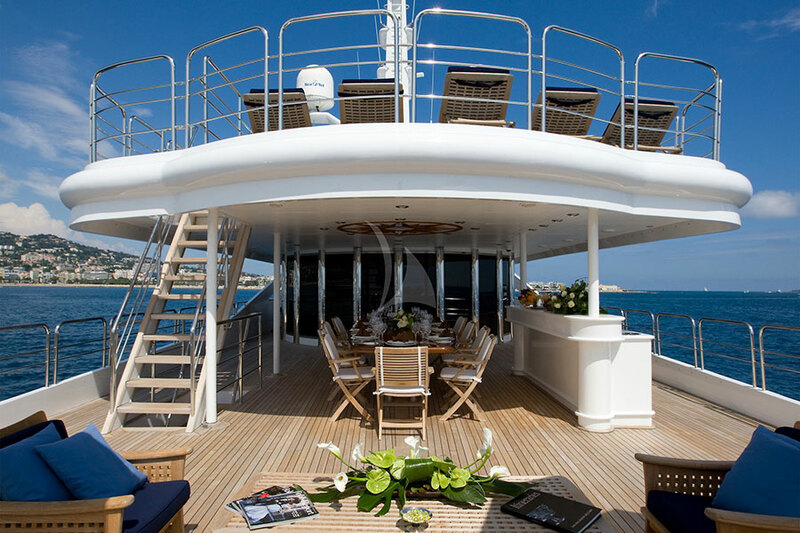 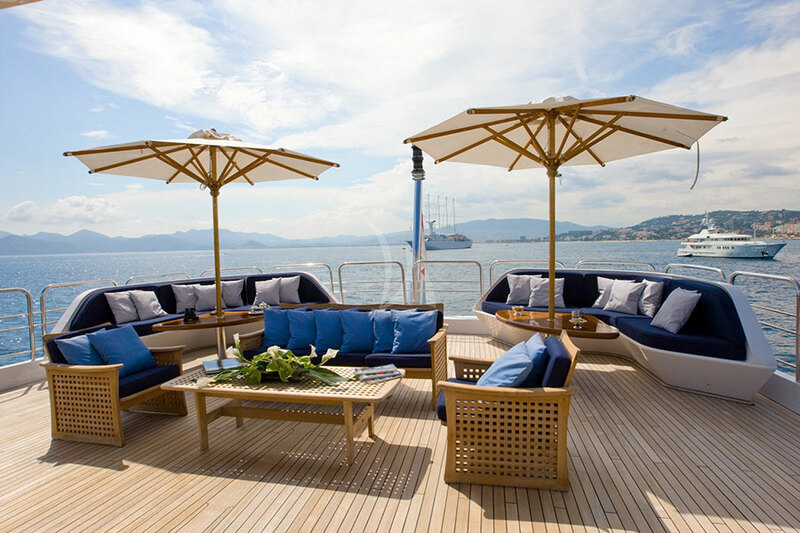 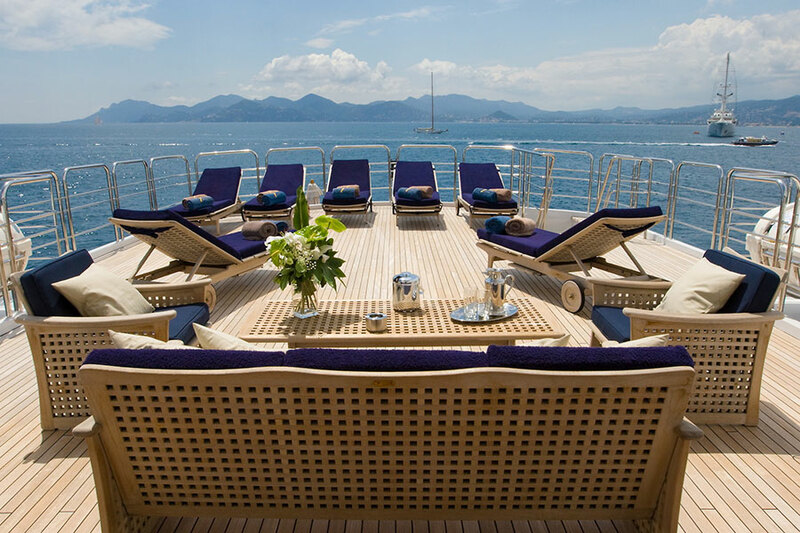 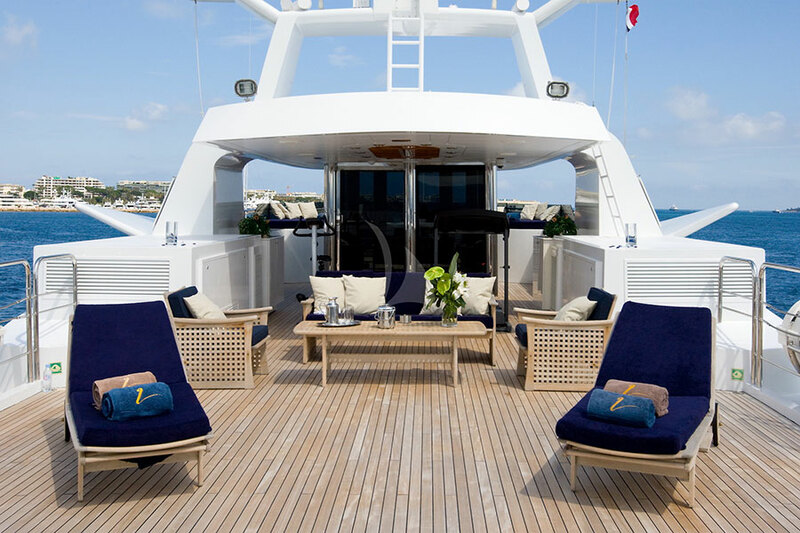 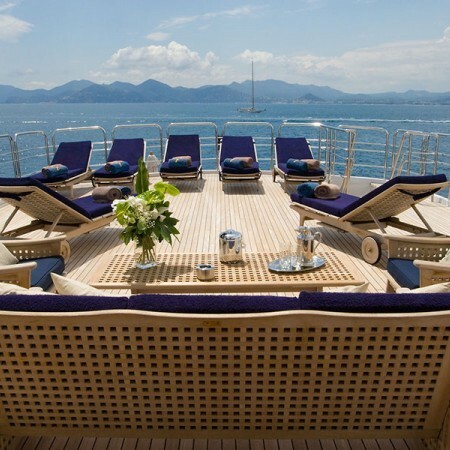 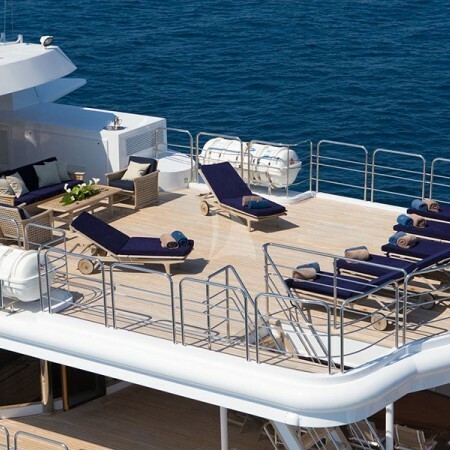 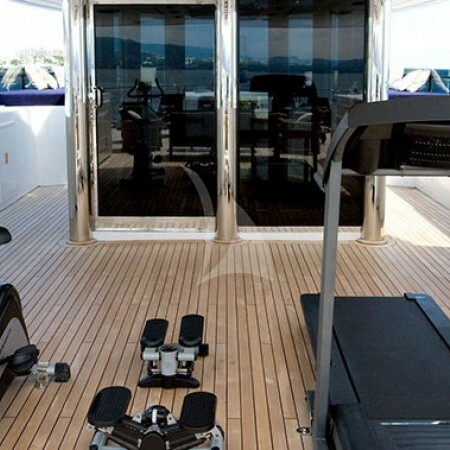 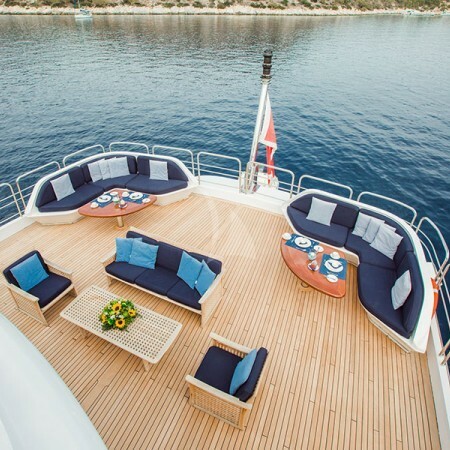 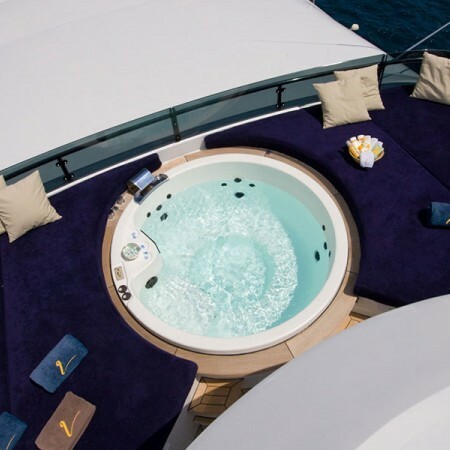 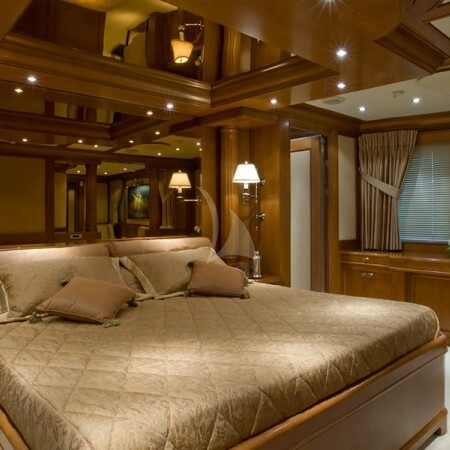 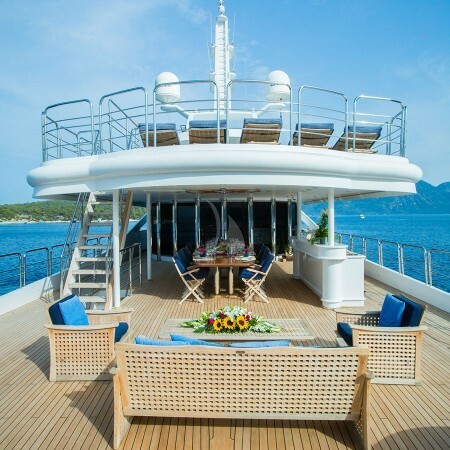 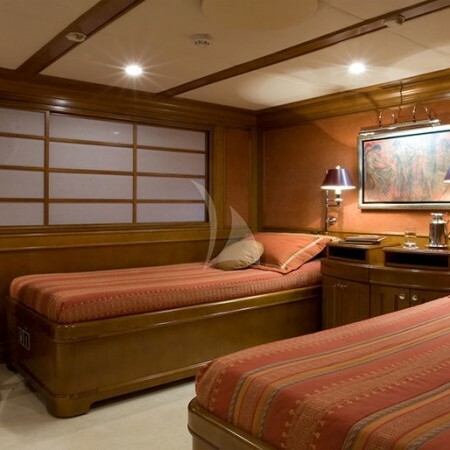 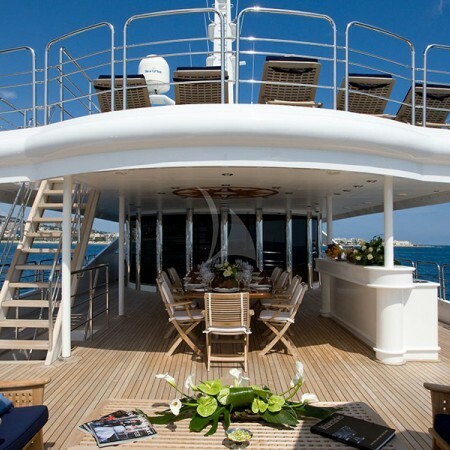 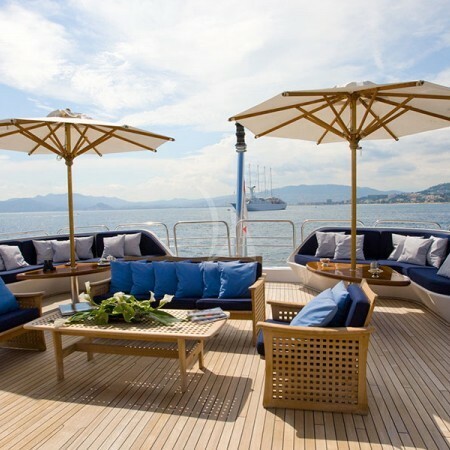 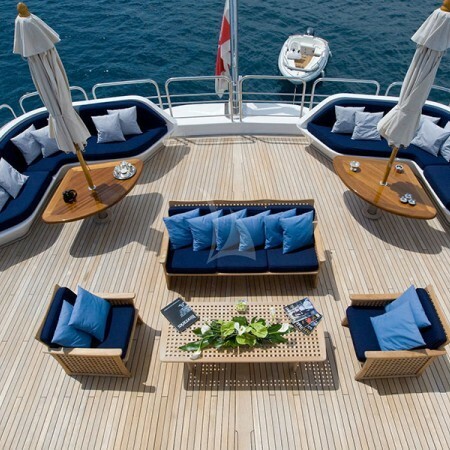 She boasts a particularly spacious upper-deck with open air cinema, large jacuzzi and sunbathing area. 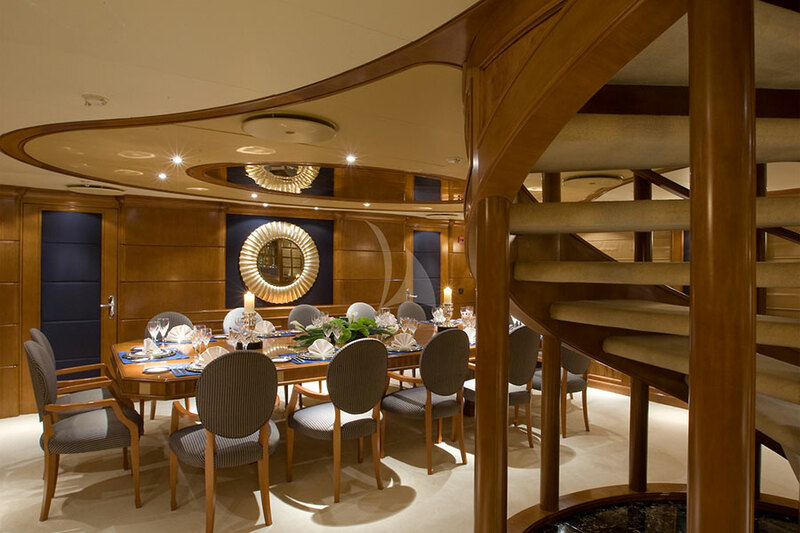 Built in Germany by Elsflether Werft, she features exterior and interior design by Luiz de Basto Designs. 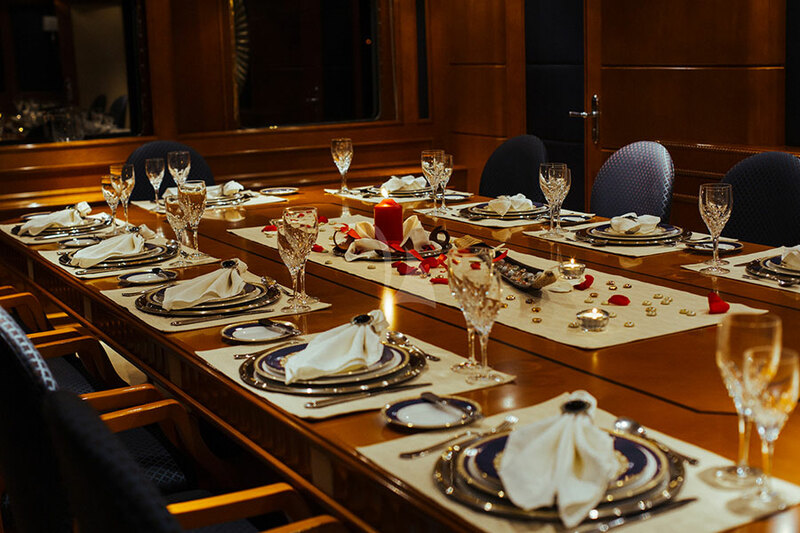 Insignia boasts multiple guest spaces for hosting and socialising, and state of the art entertainment systems throughout. 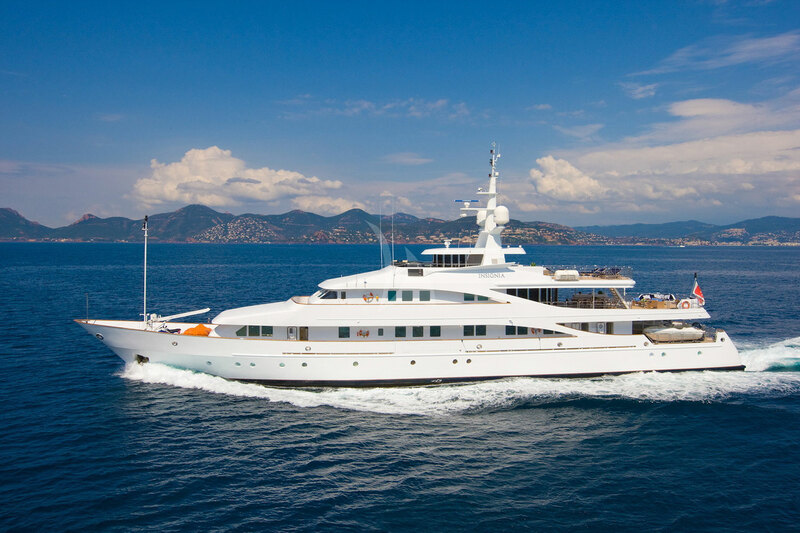 She underwent an extensive refit in 2017 replacing the decks and a full hull and superstructure paint job. 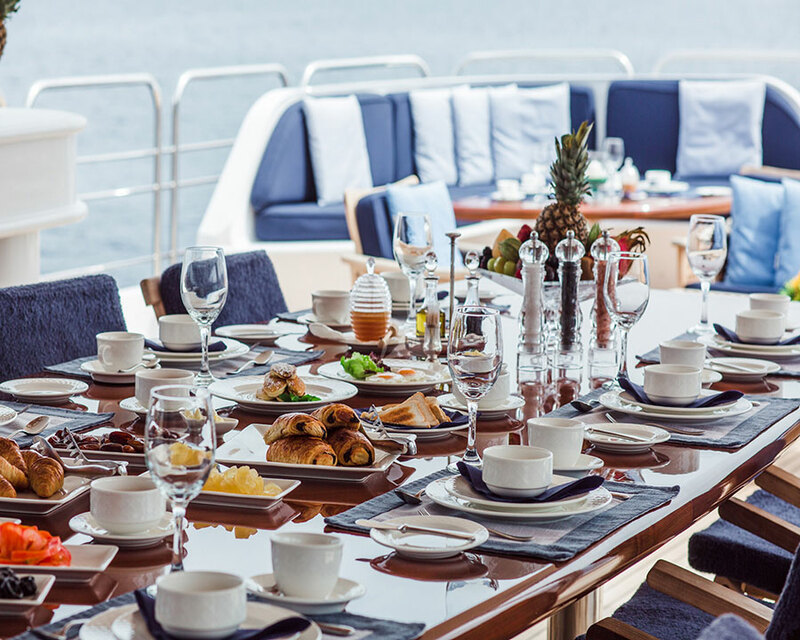 Perfect as an entertainers yacht, Insignia has multiple guest spaces for hosting and socializing, and modern entertainment systems throughout. 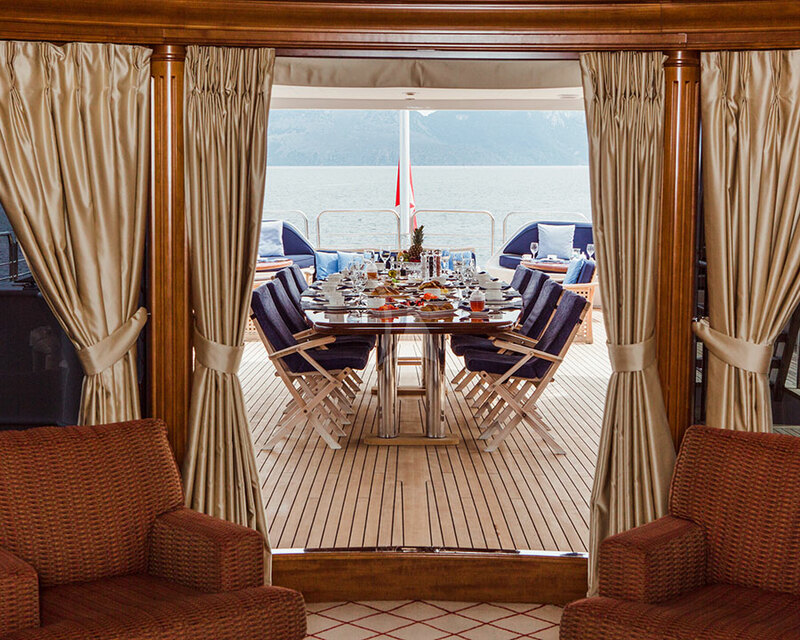 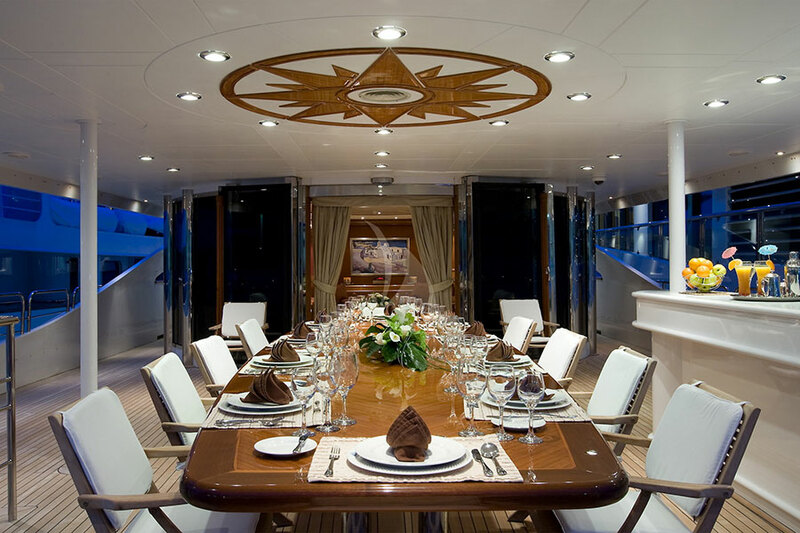 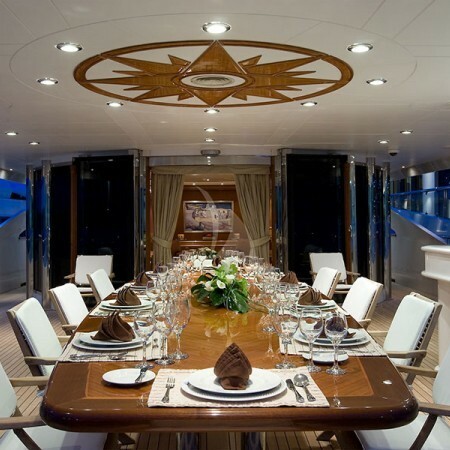 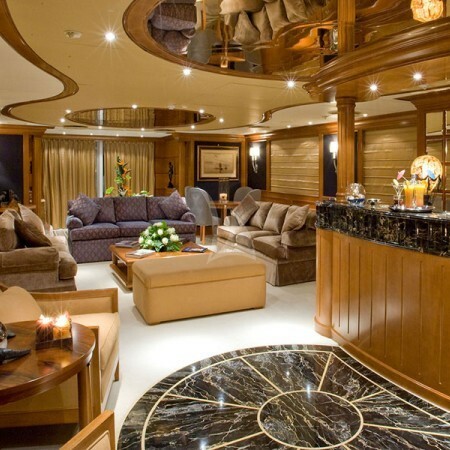 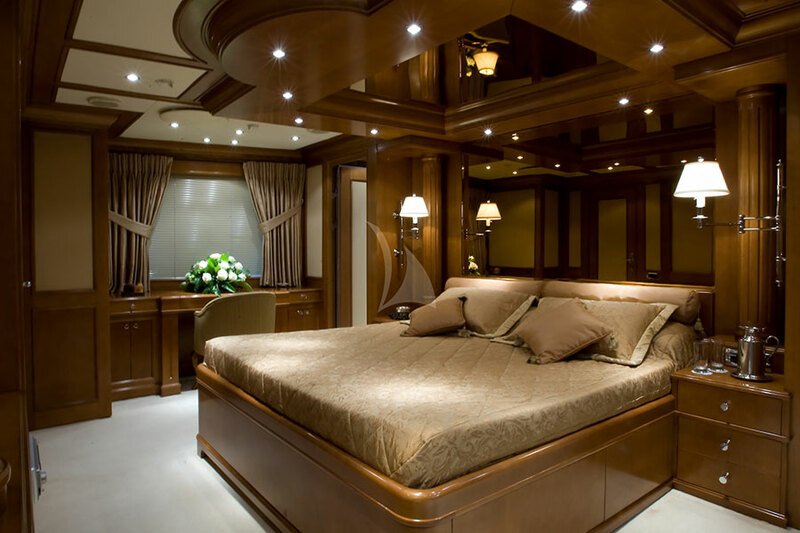 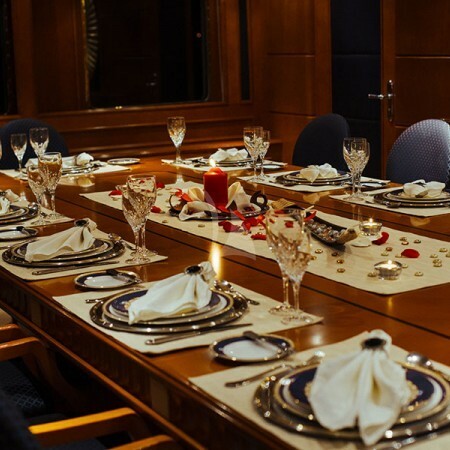 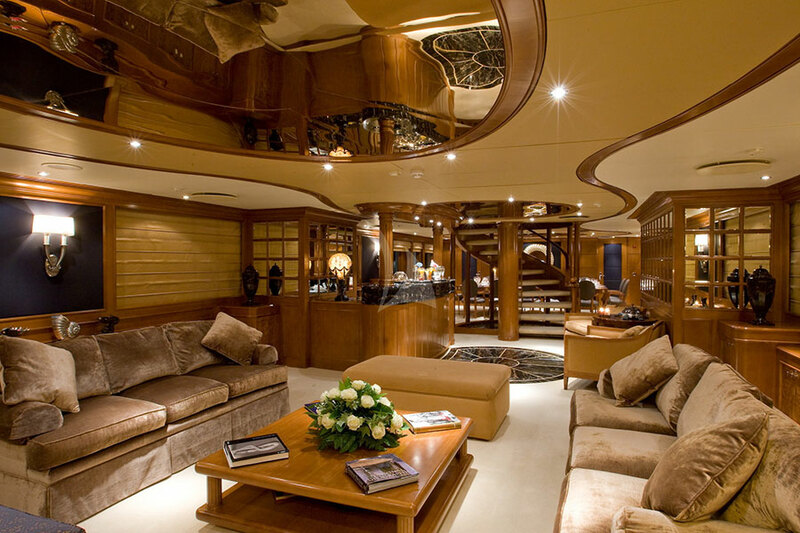 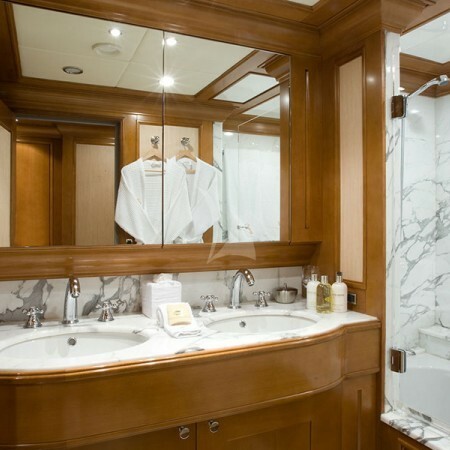 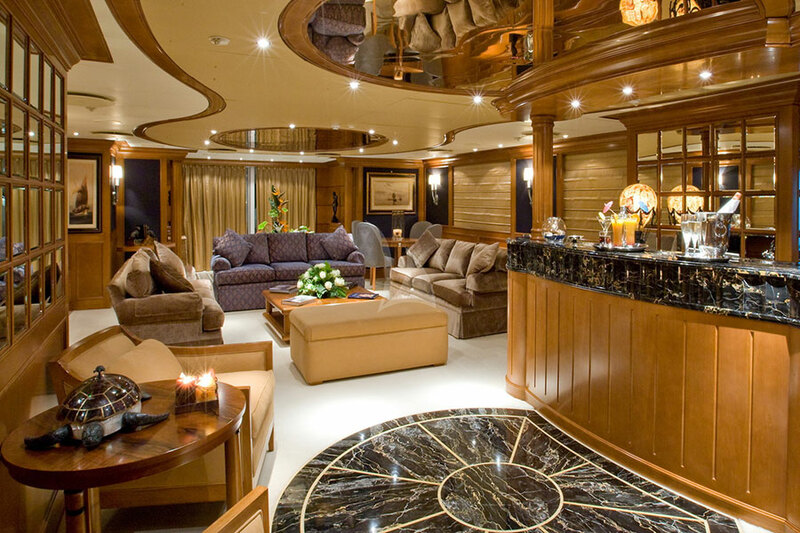 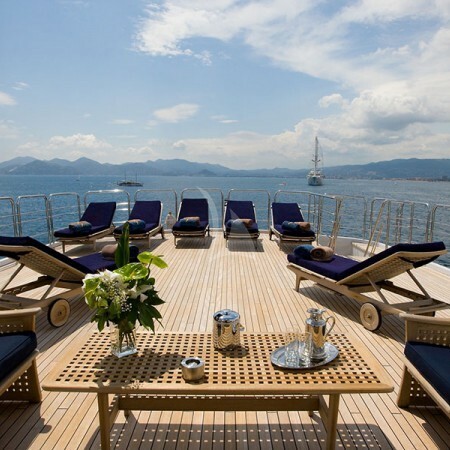 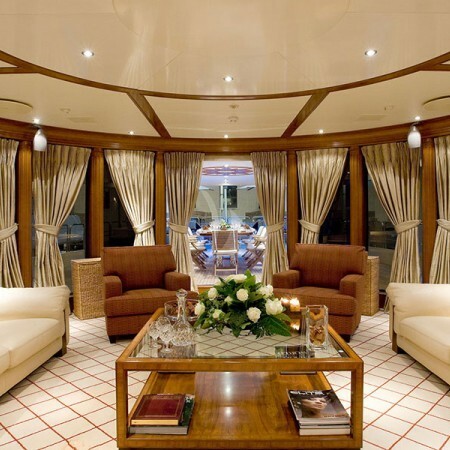 The owner and the crew thought every little detail in order to offer guests the “Insignia experience”. 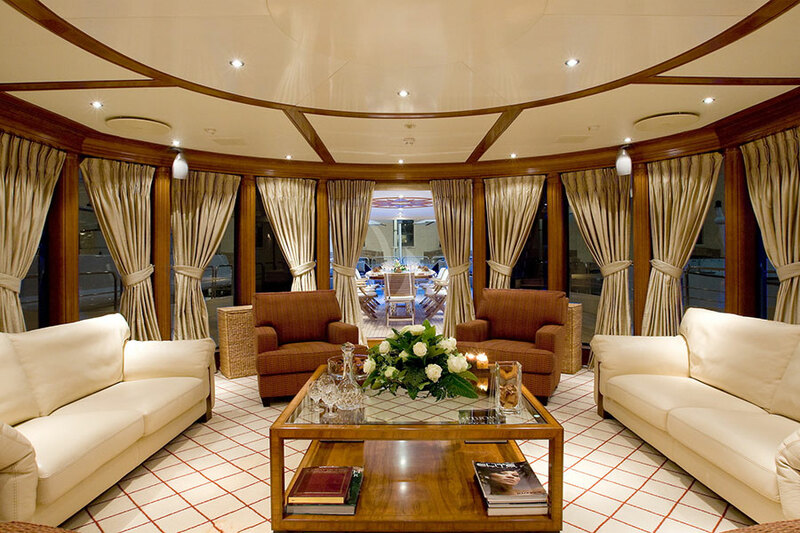 A timeless interior pairs rich furnishings with warm woods to create a welcoming and elegant environment for guests to enjoy. 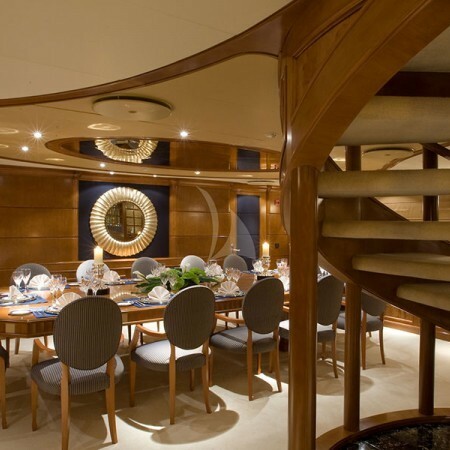 A large, beautiful spiral staircase that runs from the lower deck up to the sun deck is a main feature in the large main saloon, which is also home to a formal dining set up, large separate lounge area and a bar. 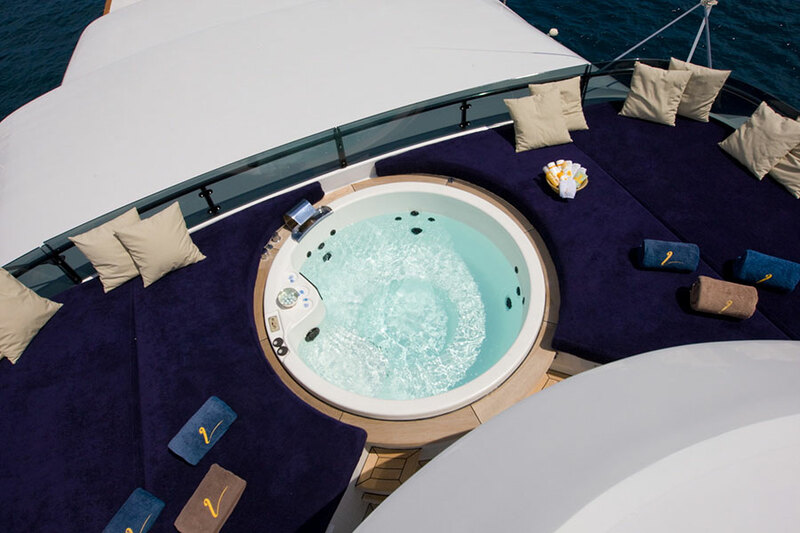 The glassed sky lounge is a popular and inviting space, with 180-degree views across the sea and a lounge area and entertainment system. 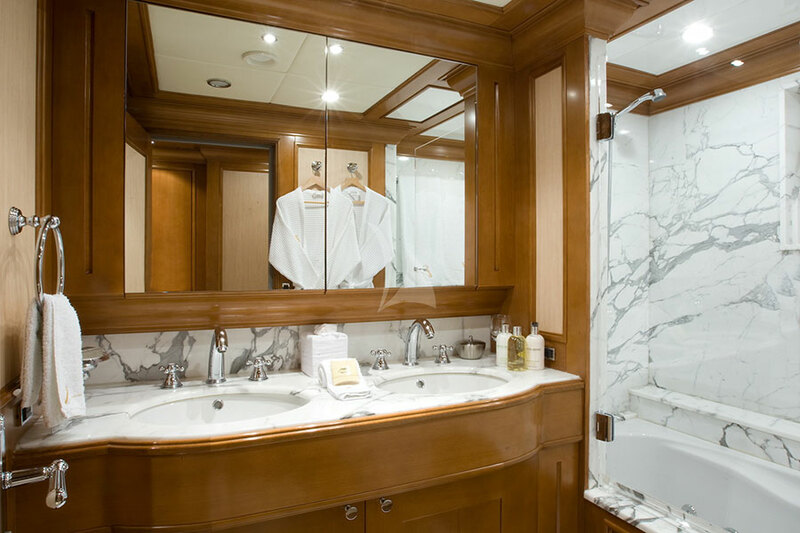 Well suited to charter thanks to her generous accommodation options, Insignia has seven en suite staterooms for up to 12 guests. 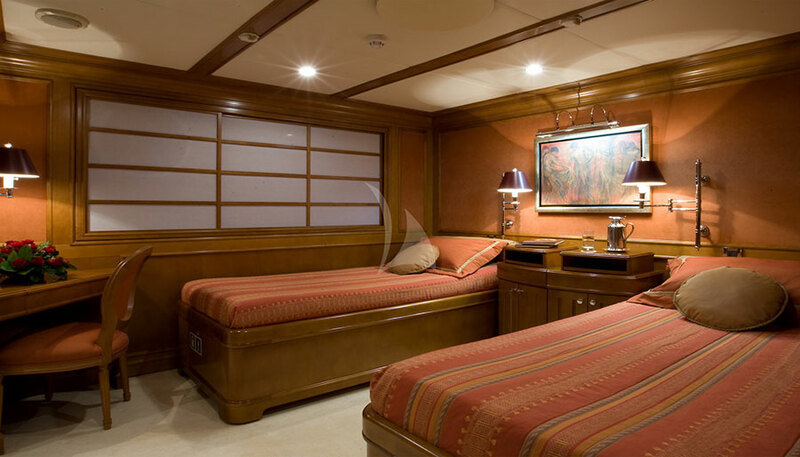 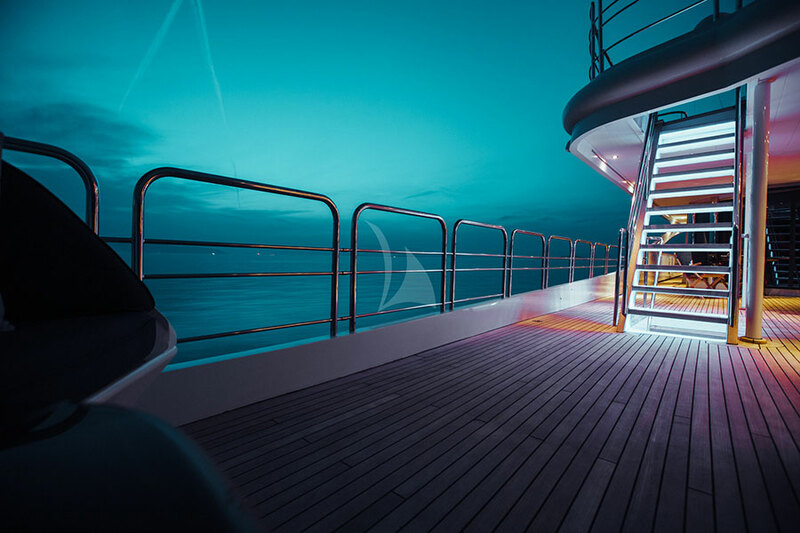 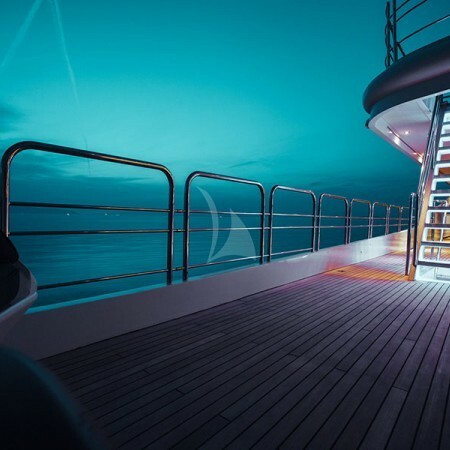 Guest cabins include a large full beam master suite with sweeping views, a full beam VIP, two double cabins and three twins with convertible configurations for optimum flexibility to suit all charter groups. 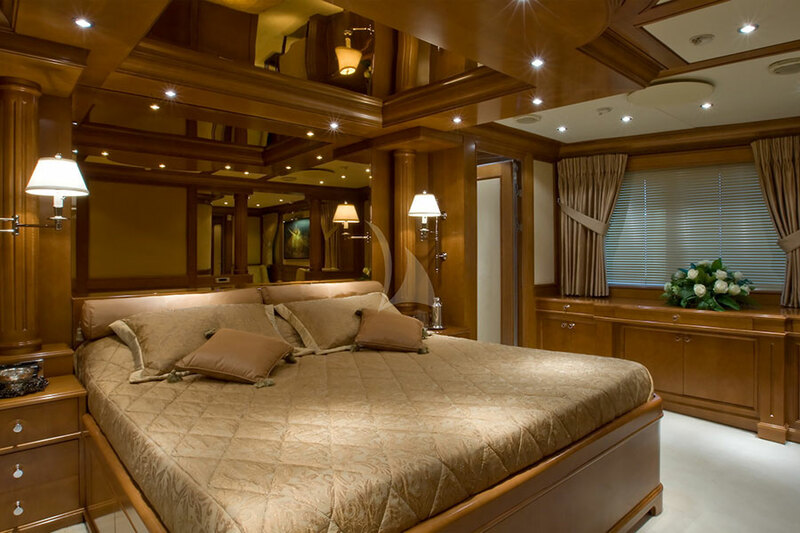 All guest rooms are generously proportioned and have their own colour scheme and personality. 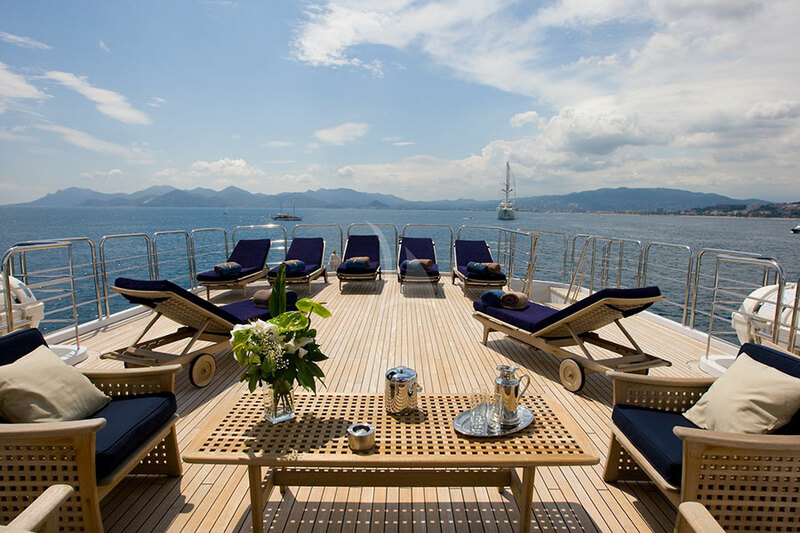 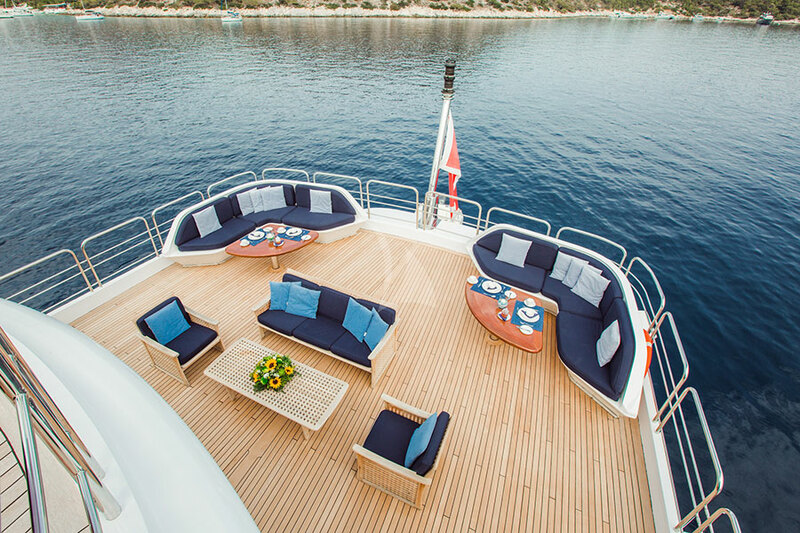 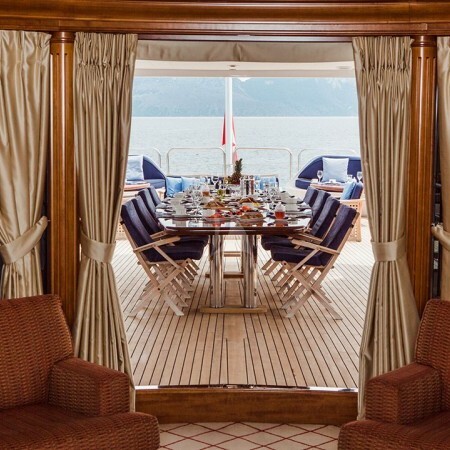 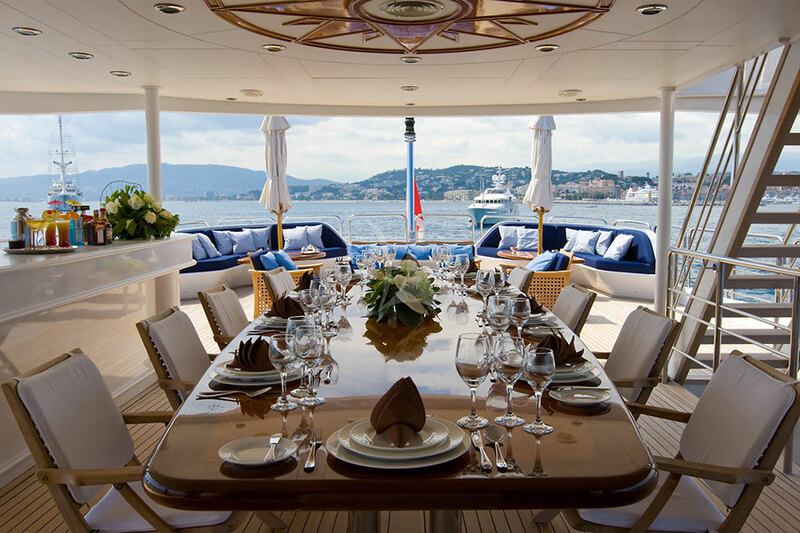 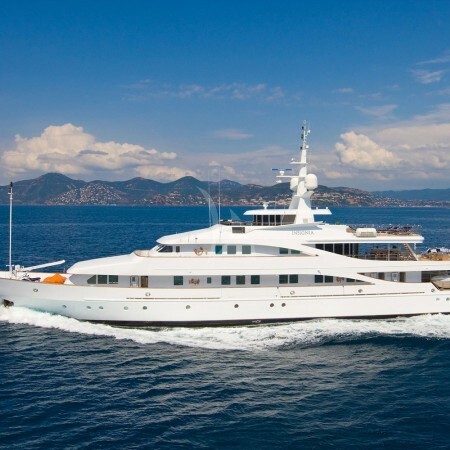 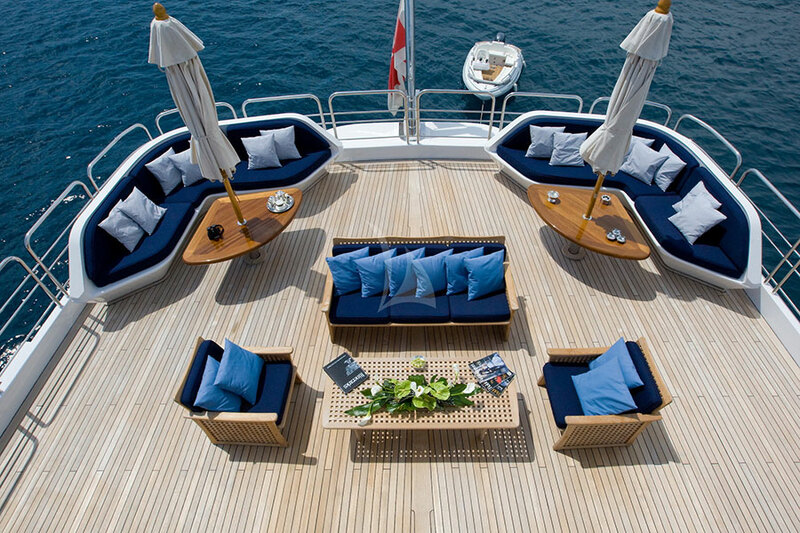 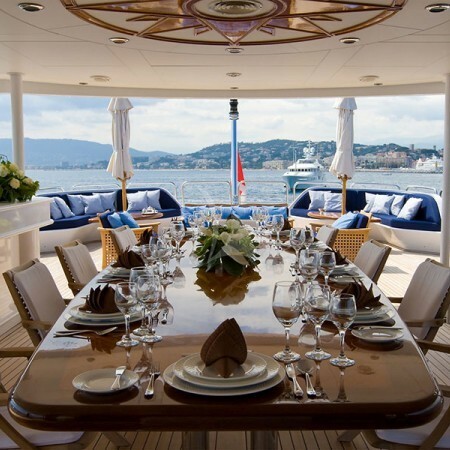 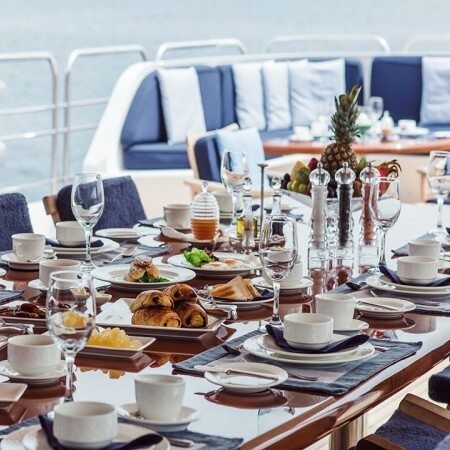 INSIGNIA is a particularly popular charter yacht thanks to her expansive exterior deck spaces including the large exterior upper deck which has a sheltered al fresco dining area and bar for leisurely meals in warm surroundings. 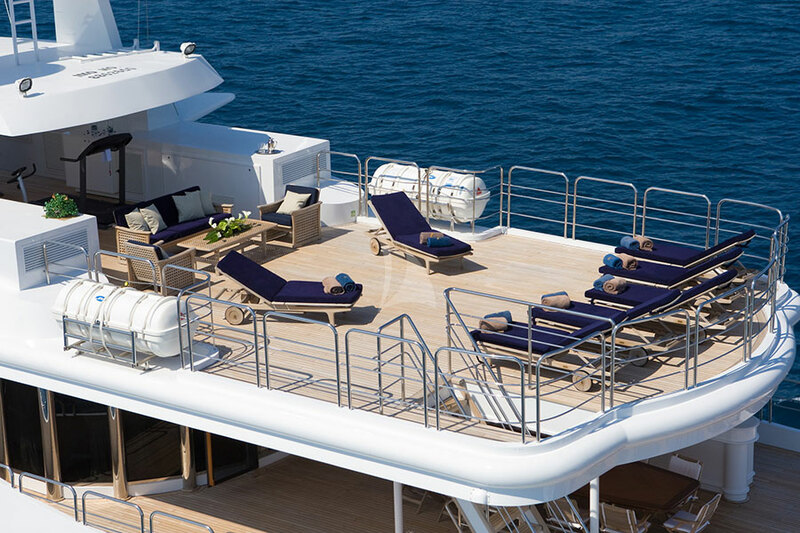 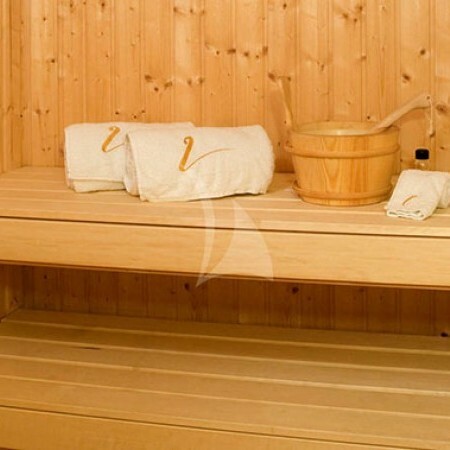 The sundeck is a large outside space and home to a large Jacuzzi and sunbathing area as well as ample loungers and seating areas aft and a sheltered gymnasium set up for work outs. 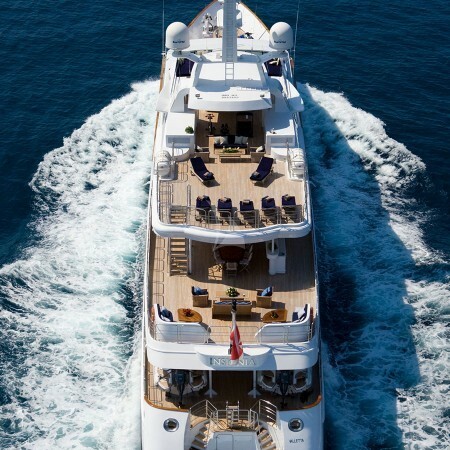 Ideal for water lovers Insignia is well stocked with a host of tenders and toys that ensure a huge amount of choice for charter guests to pick from during their time in and on the water. 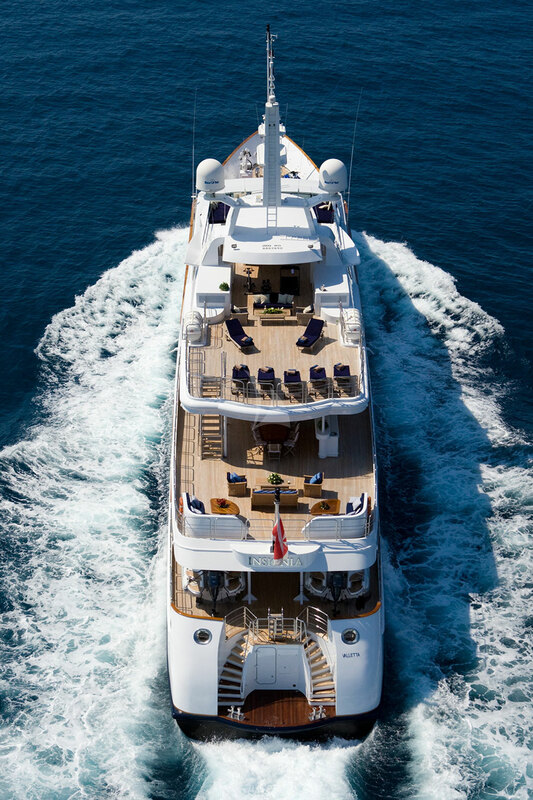 Cruising at 11 knots with a maximum speed of 13.5 knots.